Mike was one of the fortunate ones. 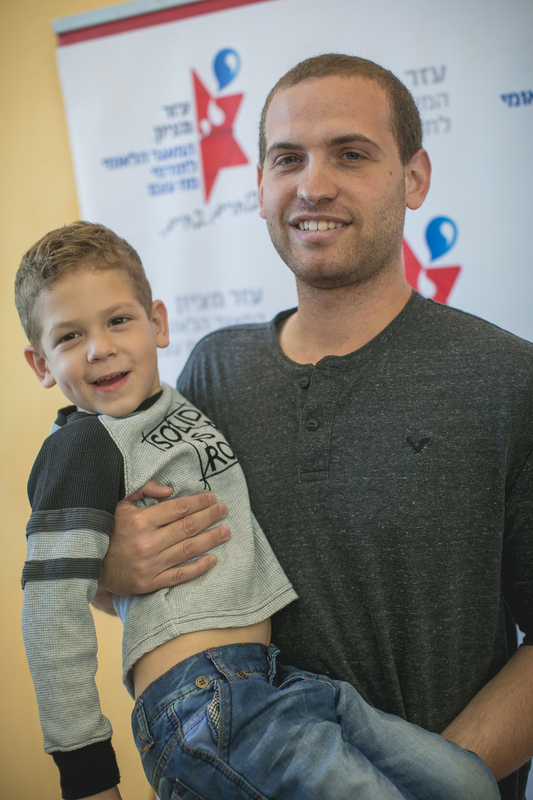 From approximately 900,000 potential donors at Ezer Mizion’s Bone Marrow Registry, Nimrod C. was that match. Mike is 5 and a half now and zoom-zooming with the best of them. Recently he and his mother, Anastasia, met Nimrod for the first time. Busy with his trucks, Mike couldn’t understand why his mother burst into tears as Nimrod entered the room. Both adults stood there in silence as the tears of joy flowed. “Because of you…because of you…” Anastasia cried out. Stem cells harvested form donor’s blood while remainder of blood is returned to him via the 2nd arm. 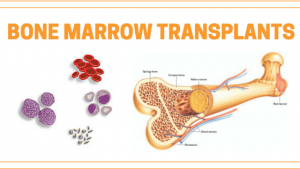 In recent times, a bone marrow transplant is not used too frequently. The most common procedure is a stem cell transplant, a much simpler procedure. 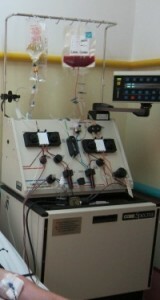 There is no surgery involved for the donor, no pain, no recovery period. The stem cell transplant is not much more complicated than giving blood. Sometimes, however, due to the patient’s condition, a bone marrow transplant is necessary. Previous Previous post: CP Can’t Stop Me! Next Next post: Is That Mommy? !